Dr Susan Ballard is the Principal Scientist at the Microbiological Diagnostic Unit Public Health Laboratory (MDU PHL). As Principal Scientist Susan provides support to the Director in meeting MDU’s scientific, operational and strategic objectives in the diagnosis and surveillance of communicable diseases. This includes resourcing of staff, identifying operational needs and the review of scientific processes and procedures. A key component of the role is to oversee the implementation of genomics as the main platform for service delivery within MDU PHL. Susan leads a team of scientists responsible for the high throughput management of short-read sequencing for public health genomics and molecular testing and identification of reference, outbreak and infection control organisms as a service to the public health community. Recently this team became the first laboratory in Australia to achieve NATA accreditation for whole genome sequencing of bacterial organisms. 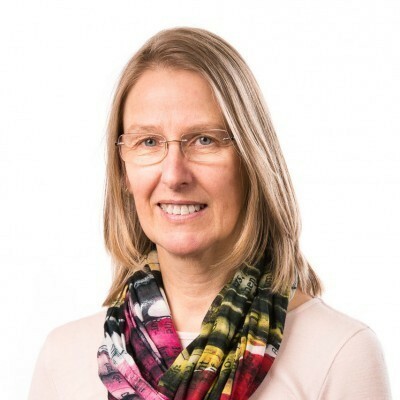 Susan has a diverse research career that spans the immunochemistry and molecular genetics of Leptospira, public health initiatives such as influenza surveillance and Hand Hygiene Australia, as well as undergraduate teaching in Microbiology. More recently, she has played a key role in the development of research on the epidemiology and mechanisms of vancomycin resistance in enterococci and the clostridia. This has led to significant publications demonstrating the role of anaerobic bowel flora in the de-novo emergence of vancomycin resistant enterococci (VRE).